​My name is Jonathan Minkoff and I'm the Founder of SingStrong. I also hold a degree in music education from Northwestern University and I'm a former HS choir director. 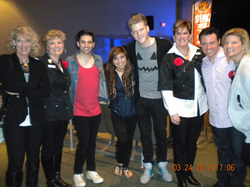 I’m writing to invite you and your students to participate in SingStrong A cappella Festival. Let me show you this poster first, just as an example. Then let me tell you about a pretty special offer. Looking at the poster, I’m sure you noticed that we had Grammy-winner, Ben Bram from Pentatonix and LEVEL, and TRACES from NBC’s TV show, "The Sing-Off." 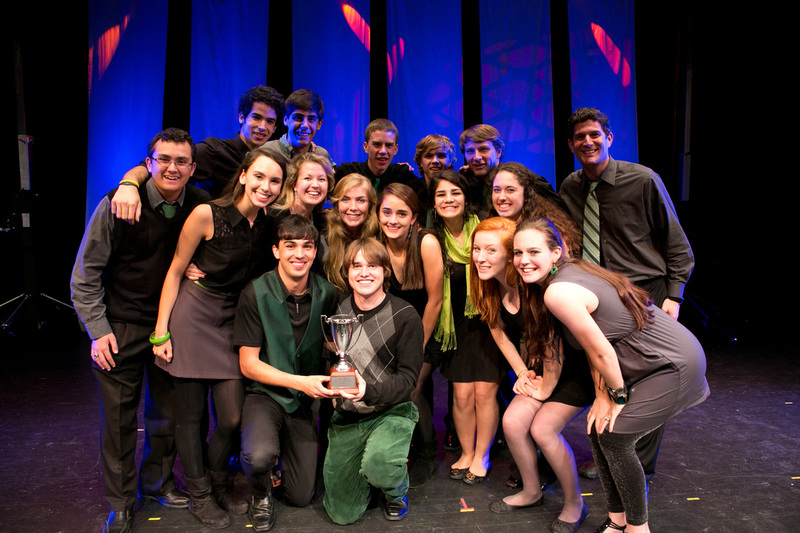 We also had viral sensations, Resound, and Harmony Sweepstakes Champions, Stiletta. Those are names that capture students' attention. And the other acts are equally amazing. From NYC’s Blue Jupiter featuring Diana Preisler -star of the Internationally syndicated Lifetime A CAPPELLA TV show, "Pitch Slapped", to Venezuela's Ensemble Fenix, to Ball in the House from America's Got Talent, these performers are masters of their craft, representing a huge diversity of styles and genres. That was then. Now our festival offers even more: 6 concerts. 20+ classes. 3 competitions. Free coachings. One thing that hasn't changed: we're still all vocal and all for charity. It’s an exciting weekend. But that’s not exactly what I’m writing you about. There’s something else. Something that matters a great deal to music educators. 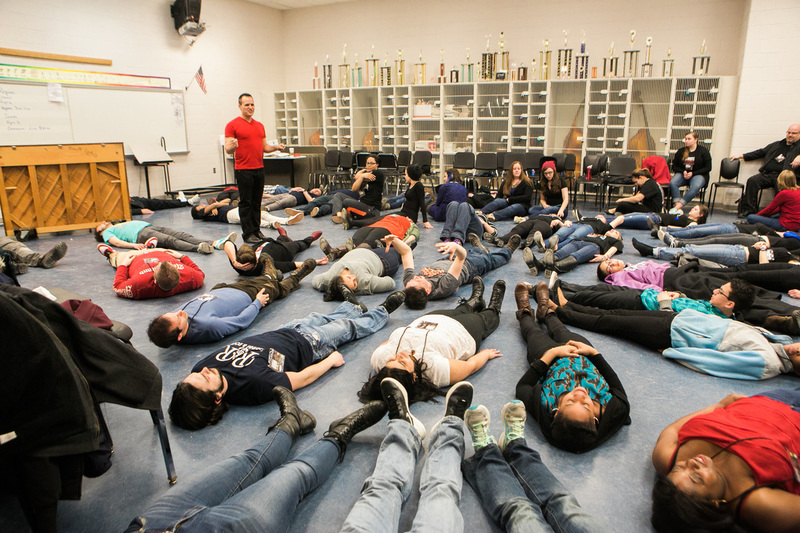 At a time when arts programs are under fire, and participation numbers can determine a program’s very existence, music educators simply need tools like SingStrong. It’s a matter of survival. That’s why I’m writing you this invitation. Yes, it’s fun. It’s educational. It’s inspiring. It’s even for charity. But it’s also exactly what music educators need to strengthen their programs. • Hands-on classes walk you and your students through the fundamentals of vocal percussion, contemporary arranging, legalities and much more. • Tons of opportunities for your students to perform. • Males see lots of other males of all ages performing at the highest level, helping both recruitment and retention of this traditionally hard to reach demographic. • Network with working directors at our Round-Table Directors Classes. • Attend performance classes like Rock Star 101, and enjoy intimate workshops and coachings with our world-class headline groups. • See our collegiate vs. semi-professional competition, ACA-IDOL. • See unmatched professional groups perform on a truly amazing sound system -and have YOUR KIDS perform on that exact same system with wireless microphones for EACH of your students. • See up and coming HS-level groups compete in fast-paced sets -and have your students join them. • Let your students compete for a broad array of trophies, judged by working professionals and music educators that share your values. • See how contemporary a cappella and traditional choral music education can not merely coexist, but powerfully enhance one another. • Enjoy FREE Parking onsite and at our hotel. • 100% of the monies raised go to charity. We support music programs and the the fight against Alzheimer's Disease! Buying tickets individually costs around $180 dollars. For a weekend of events, that's a bargain. But Scratch that. We can do better. ​For only $100, your Adult WEEKEND PASS provides access to 6 shows, 3 competitions, a free coaching, 2 days of classes, and world-class headliners. the DISCOUNT WEEKEND PASS only costs $75! For everything! That truly is an amazing deal. Especially for a festival of this quality, a festival that can invigorate the programs you care deeply about. If you can’t find what you need, just email us. We’ll get back to you right away. Wishing you great success in your careers. And hoping very much to see you all at SingStrong!